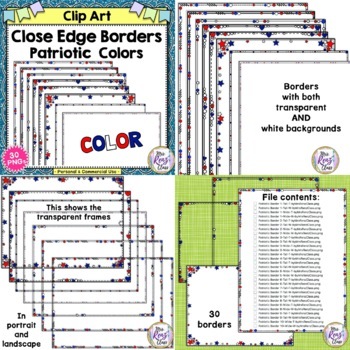 Jazz up your worksheet and page edges with this BUNDLED set of 2 products. Set 1 has muted reds and blues while set 2 has brighter patriotic colors. 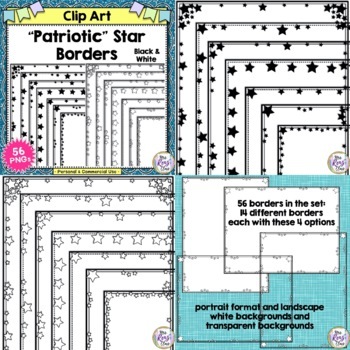 These images are great for your President's Day worksheets, U.S. history projects, Independence Day activities, and they make great fancy final copy writing paper sets. 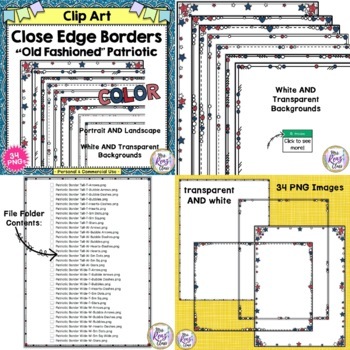 You will get 64 PNG frames in all in portrait and landscape formats with transparent centers and with white centers. This set can be use for your commercial products or for personal use. Commercial use just requires credit and a link. 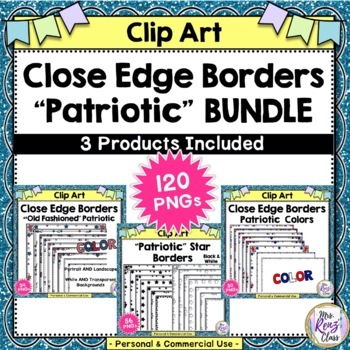 Enjoy this fun set of money saving bundle of patriotic borders and red, white and blue frames!